Product information "ZigBee Outdoor Sensor ZBS-120"
Despite the local intelligent controller subsystem with user-defined short measurement intervals the whole system works economically and efficiently. A few μA standby current assure battery endurance for years. The ZBS controller distinguishes between two kinds of time intervals. The user-definable „TX-Interval“ sets the time for periodic transmission of the actual sensor data. Keep in mind that every transmission is consuming power, so this should handled really economically. The also user-definable „MSI-Interval“ sets the time for periodic measurement. Only in case of threshold violation or detected movement an unrequested alert message is transmitted. With this mechanism the ambient parameters are acquired continuously, without decreasing the battery endurance dramatically. In order that the motion detection doesn´t transmit every detection, a following quiescence time can be adjusted. 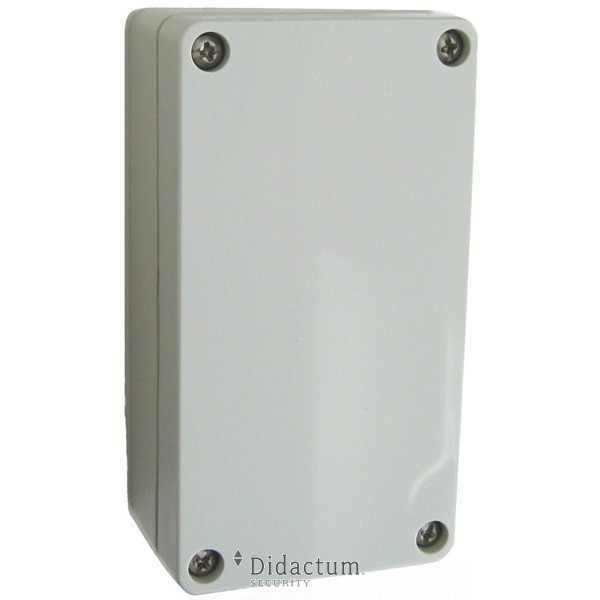 To use this outdoor sensor, you need a ZigBee Gateway (ZBG-100) to which you can connect up to 10 sensors. With a router (ZBR-100), you can expand this network by another 10 sensors. You will also need a preinstalled NMS system. It is Nagios, OpenNMS or Nagios. Related links to "ZigBee Outdoor Sensor ZBS-120"
Customer evaluation for "ZigBee Outdoor Sensor ZBS-120"